When one thinks about boots for many it may conjure up the very famous fairy tale known as Puss N Boots or also known as Master Cat or the Booted Cat. Boots as we know them really played a very important role in the designing of this fairy tale. It came down to when the cat of the family who was headed by a miller gave everyone in the family their inheritance. The cat asked for nothing more but a pair of boots while the eldest son of the family inherited the mill and the younger brother received the mules. There are several different versions of the original Puss N Boots story and the one that is spoken of will depend on where it is being taken from. The original version of Perrault when it comes to Puss N Boots has gone through many adaptations. All of which seem to keep those important boots as the focal point of the character named Puss. Through the various adaptations, the boots have always held an aura of importance where in some cases the emphasis on the boots was to show how Puss put more emphasis on the fashion sector of the boots compared to the monetary value of the inheritance that was being awarded by the Miller. Then there was another adaptation where the character Puss actually turned into a human when wearing the Boots. 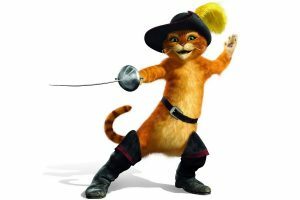 While there are different images that depict the type of boots that Puss actually wore, one of the most well received is the style of boots that are seen in the images of Puss as he appeared in the Shrek 2 movie in 2004. There is no doubt that the boots are the highlight of the attire in this presentation of Boots. When one looks at how stylish they are it is easy to see why they play such a wonderful role in identifying the Puss character.